Click Here to see a sample of our Let’s Get Ready for Kindergarten! book. Purchase any or all of these books here. 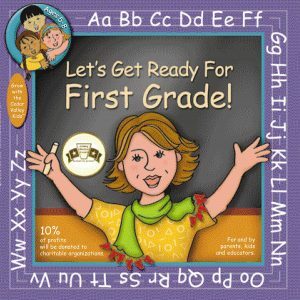 Click Here to see a sample of our Let’s Get Ready for First Grade! book. Click Here to see a sample of our English/Spanish Let’s Get Ready for Kindergarten book.